← Florida Keith Gives Us an Additional Update on Pinellas Park Courts!! Bob Jones Sends Along this Report from Blufton OH. 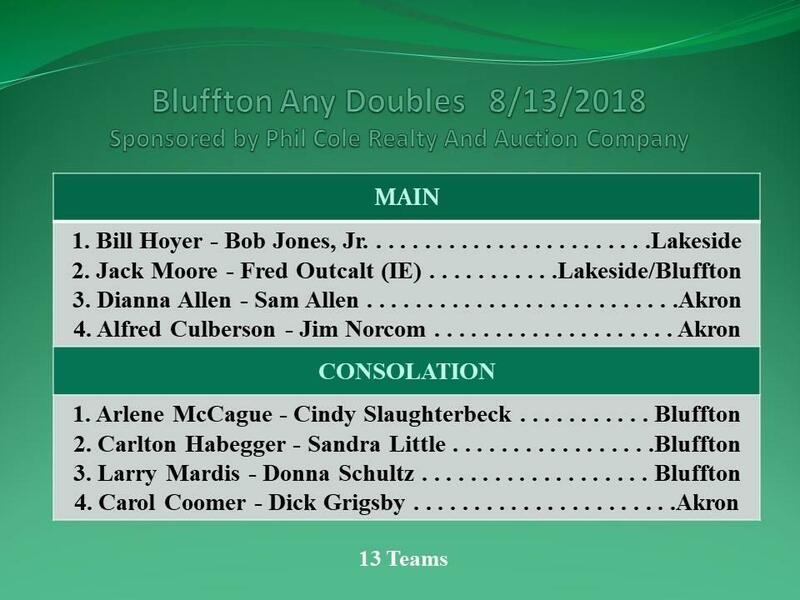 Bob Jones Speaks: The Ohio Shuffleboard tournament season ended with the Bluffton Any Doubles August 13. 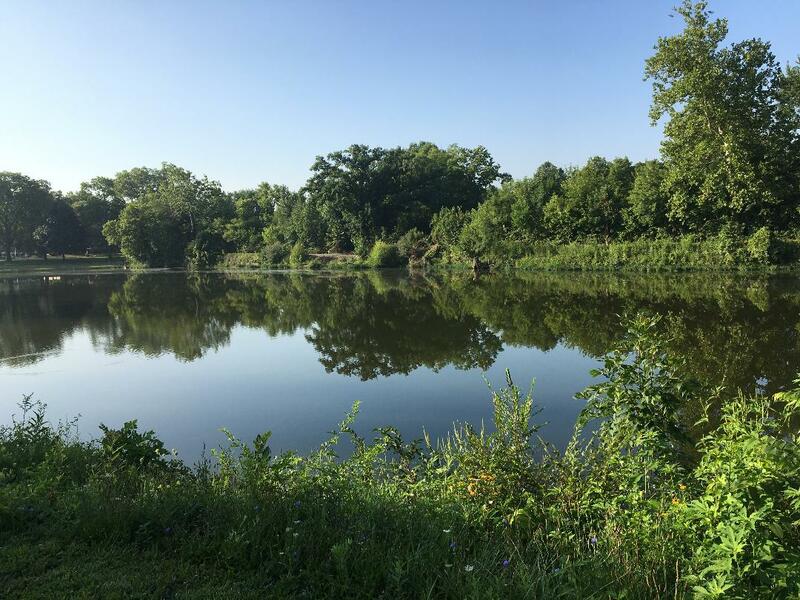 Bluffton has 6 courts in a lovely city park, which includes a large covered picnic shelter and a fishing pond. The Bluffton Club led by Steve and Cindy Slaughterbeck and Carlton Habegger maintain their courts and equipment as well as anyone in the game. The courts may be small in number, but the quality of shuffling is high. Lakeside’s Bill Hoyer and Bob Jones, Jr. defended their title and won this tournament for the 2ndconsecutive year. Congratulations to Ohio 2018 Points leaders Bill Hoyer and Dianna Allen. With the season ending win, Bill vaulted from tied for 3rdto 1st in the overall standings! Traditionally, the top 5 men and women point earners are invited to the Ohio Roll of Champions Singles tournament in Lakeside the following summer. This entry was posted in USA NSA. Bookmark the permalink. 1 Response to Bob Jones Sends Along this Report from Blufton OH. Thanks Bob, and congrats to you and Bill! !